I have a Leica S (006) and am starting to shoot more indoor portrait type photos. I have a Profoto B-1. When I bought the Profoto I bought the Profoto airplay and it works flawlessly (although not TTL) on the Leica S. I also use the Leica Corded remote. Lately I thought it would be nice to fire the Leica and the Profoto from across the room so i purchased a couple of Pocketwizard Plus III’s. I also bought a cord from Michael Bass to connect the S to the Pocketwizard. I thought i could cordlessly connect the Profoto to the Pocketwizard since the Profoto connects to the Profoto airplay wirelessly but it seems i need another Pocketwizard to connect to the B-1. So it seems I need 3 Pocketwizards to make this work. Any thoughts or comments would be appreciated. 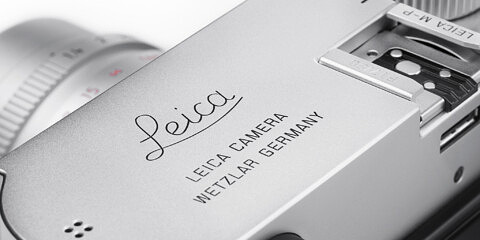 By the way the Leica S does amazing portraiture work. I have the 120mm S lens and absolutely love it. When you say “Profoto airplay” do you mean Profoto AIR Transceiver or Profoto AIR Sync? which means you will need a Pocket Wizard plugged into the Profoto B1. So yes, you will need three Pocket Wizards. One at the camera, one plugged into the B1, and one to use as the remote trigger. and AIR Receiver is already built into the B1.